Defending Champion, the Chipolopolo of Zambia began the defence of their Africa Cup of Nations crown amid violent scenes yesterday with a 1-1 draw against an Ethiopia side reduced to 10 men after their goalkeeper Jemal Tassew was sent off for a wild chest-high tackle. 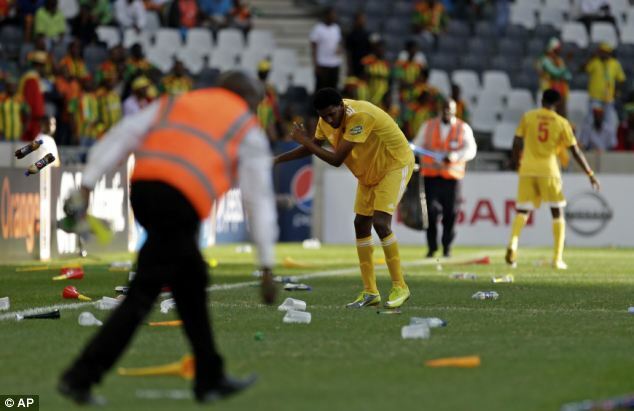 Tassew’s red card caused a lengthy delay as the Group C match in Nelspruit descended into near chaos, with angry Ethiopian fans throwing bottles and vuvuzelas on to the pitch. They were already upset after their key player Saladin Seid missed a penalty in the 25th minute, having earlier been deprived of an opening goal when his effort bounced over an empty net. German goalkeeper Harald Schumacher’s infamous foul on France’s Patrick Battiston in the 1982 FIFA World Cup semi-final. 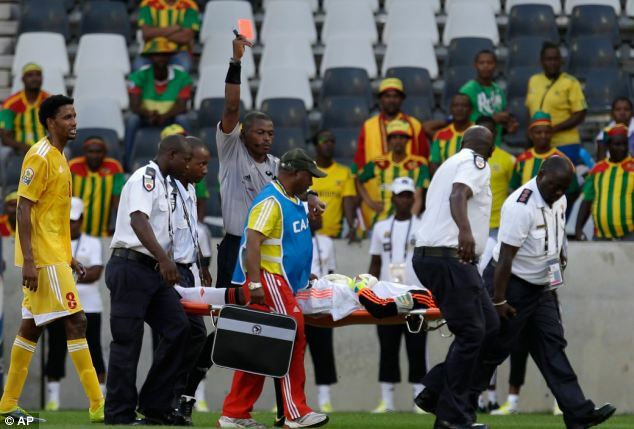 After an 11-minute stoppage allowing treatment to the goalkeeper, the referee waited until Tassew was on the stretcher before showing him a red card — prompting the Ethiopian fans to throw missiles and an official to run on the field and remonstrate with the referee. Zambia went in front when Collins Mbesuma fired a left-foot half-volley past substitute keeper Zerihun Tadelle. However, Ethiopia equalised in the 65th minute when their skipper Adane Girma powered home a shot that went in off the post and they held on for a point. Just to add to the mayhem, a jet fighter buzzed the stadium before order was finally restored.